DMER Maharashtra has released the provisional merit list for the NEET 2018 state counselling. Document verification process will continue till 25 June. 21 June 2018: The Directorate of Medical Education & Research (DMER), Maharashtra has released the first merit list for NEET 2018 UG state counselling for admission to MBBS and BDS courses. All candidates who have registered for the online counselling process can check the merit list on the official website of DMER. 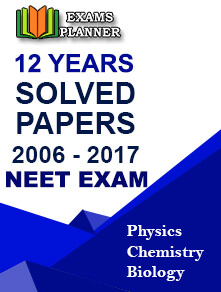 Click on ‘NEET-UG-2018 – Provisional Merit List, Dated – 19/06/2018’ link under ‘Notifications’ section. The list will appear. Check your name. A total of 59,597 students have been included in the merit list up till 12,69,893 rank in the NEET UG 2018 exam. For NRI students, the document verification process will be conducted only at the Grant Government Medical College, Byculla, Mumbai. Nationality certificate issued by District Magistrate/Addl. District Magistrate or Metropolitan Magistrate/competent authority for the issue of such certificate/valid Indian passport /School Leaving Certificate of HSC/12th class stating the nationality of the candidate as 'Indian'. In a recent decision, the Maharashtra government has extended the deadline for submission of caste validity certificates for admission to medical, engineering and, other courses through NEET/CET to 10th August. Check out the document verification schedule for Maharashtra NEET UG 2018 state quota seats for the first round of counselling.